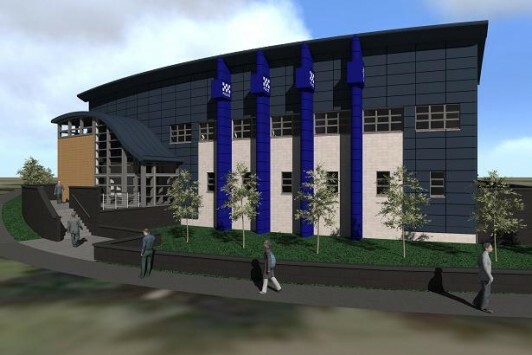 Strathclyde Police are investing £5m in a new police station to serve the expanding communities of Renfrew, Braehead, Erskine, Inchinnan, Bishopton, and Glasgow Airport. Officers aim to provide a highly efficient, customer-focused policing service from the station and to this end it will boast the latest IT systems, and integrate high energy efficiency, sustainable construction and maintenance throughout. 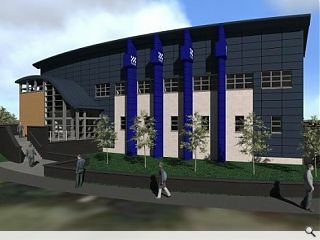 Extending to around 1500 square metres over 2 floors, the new building on Station Road is contemporary in its design, in stark contrast to the Renfrew Police Office it will replace. Built in 1910 the Grade B listed building is a prominent Renfrew landmark, but after nearly 100 years of service the structure is no longer able to accommodate the needs of a modern police force. Construction is expected to start in the summer (of 2009) and will be completed in the autumn of 2010.